No matter how much I’ve studied and practiced, I always found myself stuck in the lowest band. My confidence level dived to an all time low after my promos exam. I was holding onto 4 H2s back then and most of the other subject tutors deemed me as an underdog for Econs and advised me to drop this subject. I was frustrated and at wits end on what to do next. However, I was extremely fortunate to have a good Econs tutor who truly saw the potential in me and advised against this. Thanks to the endless consultation sessions with him and his unwavering support in my second year, my confidence level gradually recovered from the rock bottom. 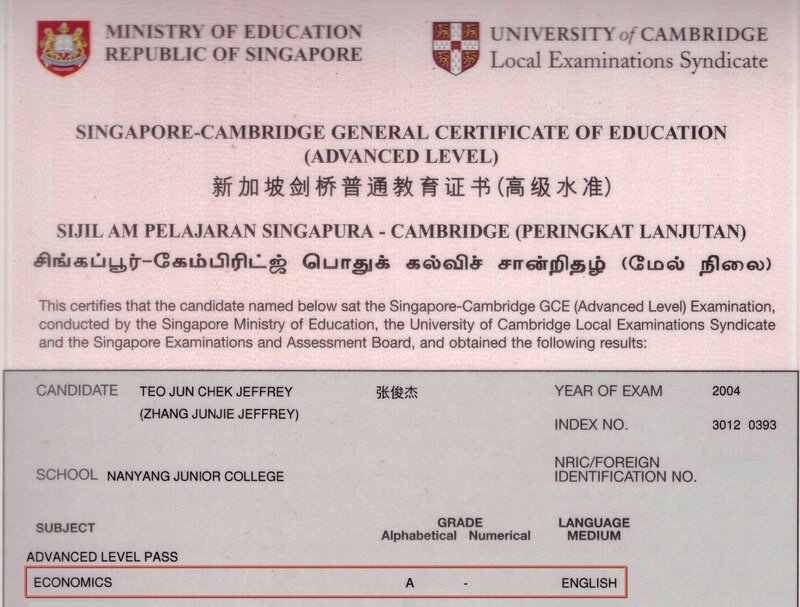 I was gradually doing better for my CSQs and Essays and towards my A-Levels, I was able fight against all odds to secure an ‘A’. 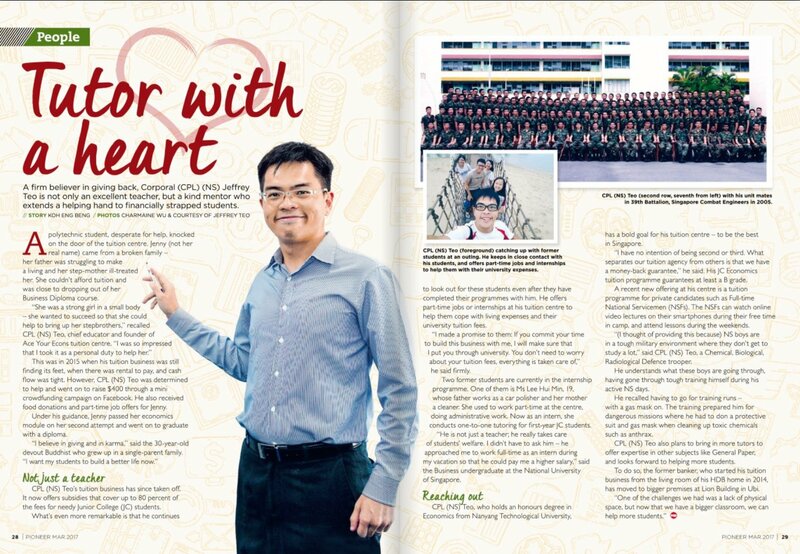 I was also able to further my passion and interest for Econs in university as a result. Fast forward to present, before starting AYE, I was a seasoned commercial banker in two internationally-known banks. During my stints there, I worked closely with the MAS (Monetary Authority of Singapore) and many other reputable financial institutions and learned a lot about how policymakers apply economics policies in real life. 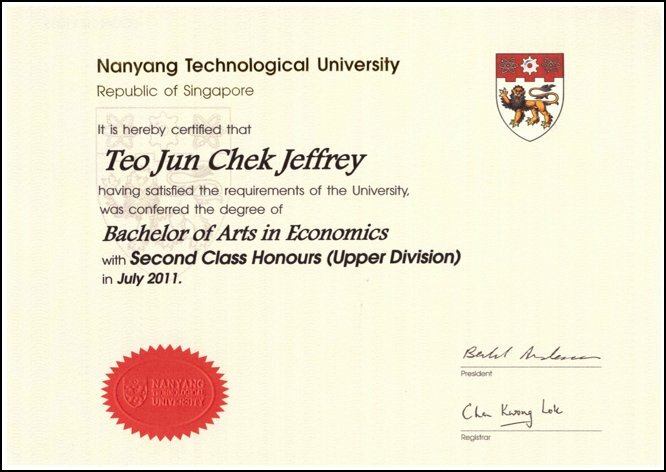 In my spare time over a period of ten years, I put my real-world knowledge of economics to use by helping JC, Poly and University students with their Economics, not to mention I’ve also done extremely well for my Econs during my tertiary days too. Honestly, at that time, I was not that keen on being a tutor due to the stresses of my day job. I was only teaching to help some family friends and colleagues’ children out. However, I began to slowly but surely fall in love with educating. Especially when I saw the difference I made to my students’ Econs results. Shermin Ng from Anderson JC got in touch with my team 4 months prior to ‘A’ levels and was applying for our Financial Aid Scheme (FAS). 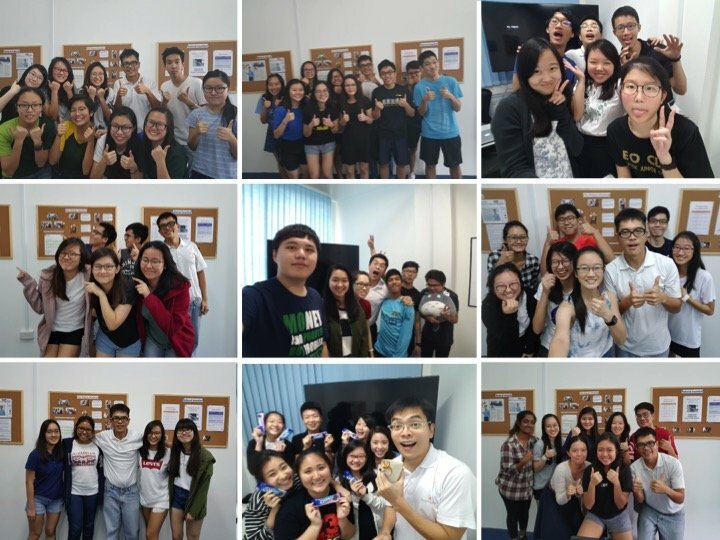 At that point in time, our H2 group programmes were full and my intake of FAS students had met its quota. 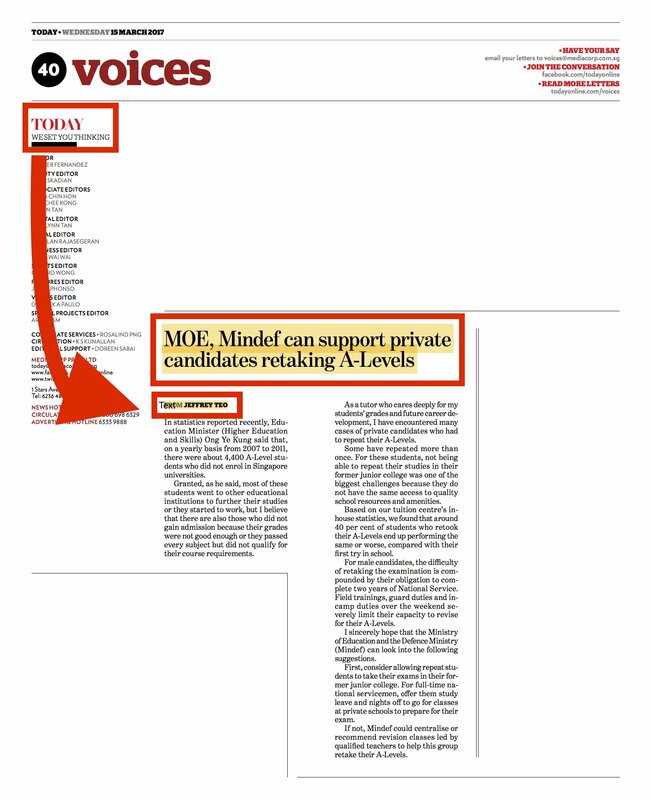 However, my team & I were thinking real hard – should we give this young lady a chance to excel in her A-level Econs? Or should we deprive her of enrolment instead since our enrolment target had already been achieved for the year? To be honest, we don’t make any profits from FAS students, considering the 80% subsidy on the total course fees we provide for them. After weighing the odds, we decided to give Shermin a chance for an interview. During her interview, Shermin was very enthusiastic about her studies and had a clear goal of what she wanted to pursue in University – English Literature. 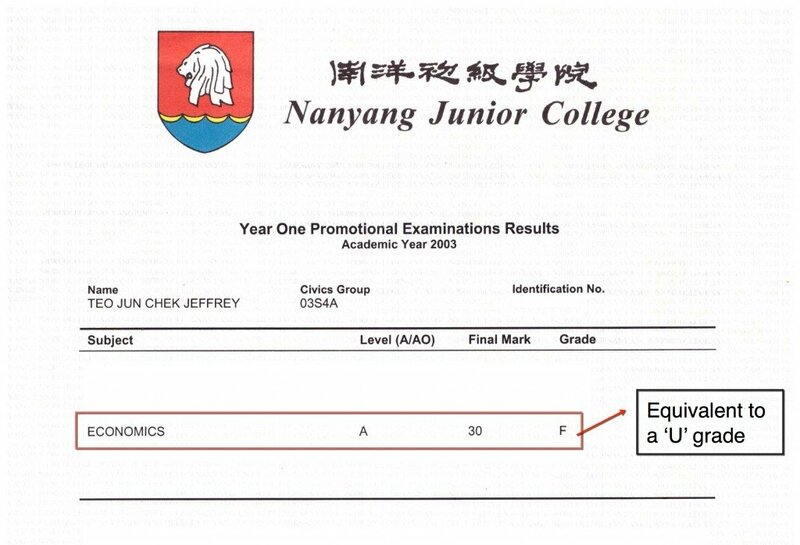 What was stopping her from achieving that was her persistent ‘U’ grade in Econs. What further moved us was that she wanted to pursue school teaching to change more students’ lives and be an inspiration to her students too. Based on her dreams and commitment to excel in our programme, we enrolled her into our programme as we saw the potential in her to help more people (we don’t simply enrol any student who can pay or are in financial disadvantage). True enough, she kept to her promise and worked doubly hard, even harder than normal full-paying students, as she clearly knew that such opportunities do not come by every day. 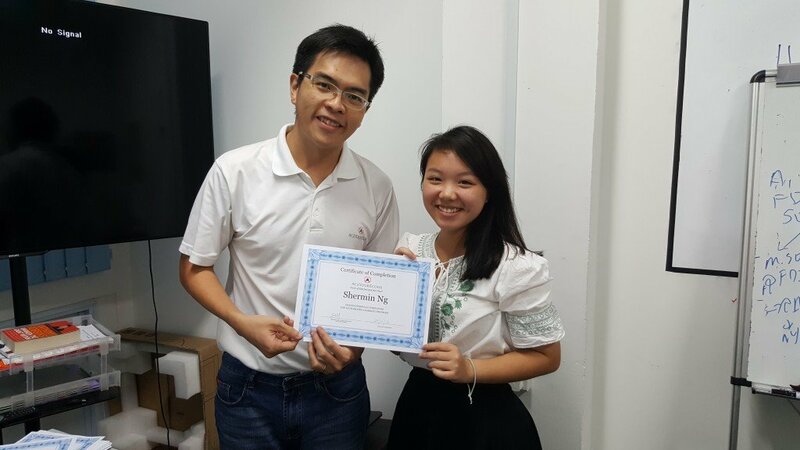 As it turned out, she managed to do relatively well for her A-levels and she was very grateful as she was finally able to pursue her dream of enrolling into E.Lit course with NTU. And we had realized that it wasn’t only Shermin’s life we were changing. We ware actually paving futures and making pipe dreams become reality for the rest of our other students too. Specifically for myself, being a commercial banker paid extremely well, but it just did not give me the personal satisfaction of being a life-changing educator. So I took the unconventional route – I quit my high-paying job 4 years ago, took a huge pay cut and ventured into my passion by starting AYE to transform lives like Shermin. My team and I were also featured in the media several times for helping underprivileged students as well as campaigning to help private candidates excel on their second try. Being one of the hardest subjects in JC, my earlier struggles with the subject itself, accompanied with my decade-long of coaching experience as well as experience being a commercial banker allow me to simplify real-world economics concepts into easily applicable knowledge. Compared to many other traditional ways of “textbook teaching”, it’s definitely a much more effective way to learn and Ace Your Econs. Now my team and I sincerely hope to pay it forward by helping to uncover each and every of your potential just like what my JC Econs tutor had did for me, knowing that not everyone is as fortunate like myself to have a tutor who also truly believed in you. However given the limited bandwidth I have to coach A-level / JC1 students (given the sheer resources we provide to applicants who placed trust and faith into our programme), I am only keen to transform the lives of the first 100 students every year. So would you like to accept our invitation to rebuild your confidence towards an ‘A’ together?